The Vitalio Joy System is a combination of modern, contemporary design and functional excellence. The coordinated hand and head showers enhance the visual appeal and celebrate water. 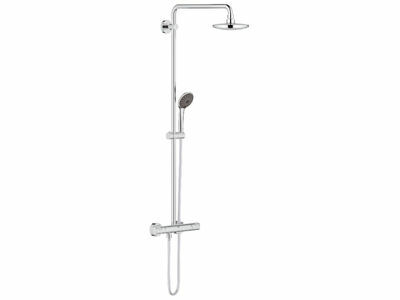 The Vitalio Start System 160 combines all essential elements for an uparalleled shower experience.